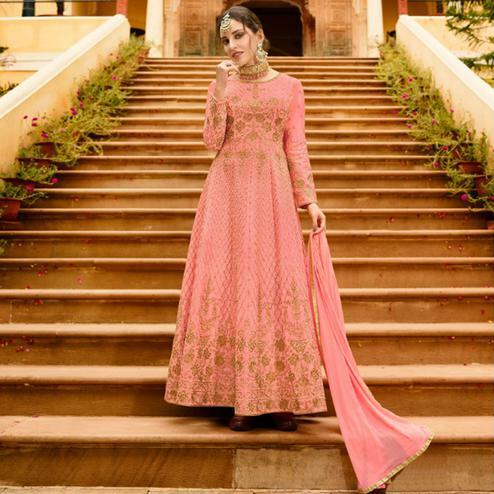 This set is a composition of light pink floral anarkali suit in net fabric base embroidered,sequins and stone work spread all over. 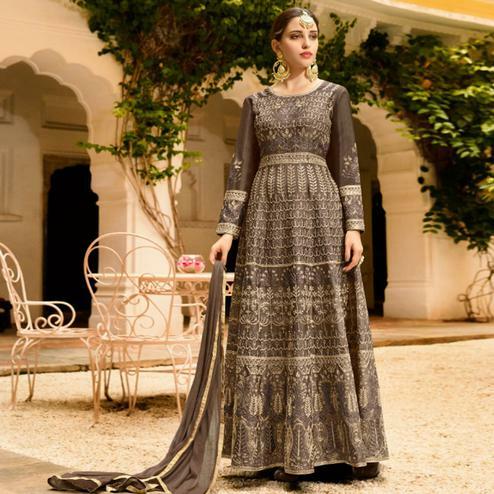 This semi stitched suit also comprises matching color santoon bottom with matching fabric lining and chiffon fabric dupatta. 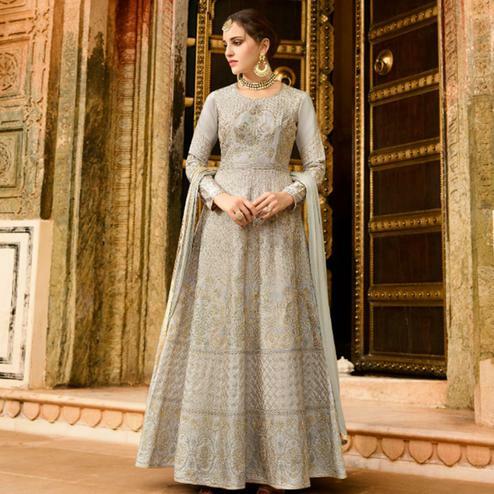 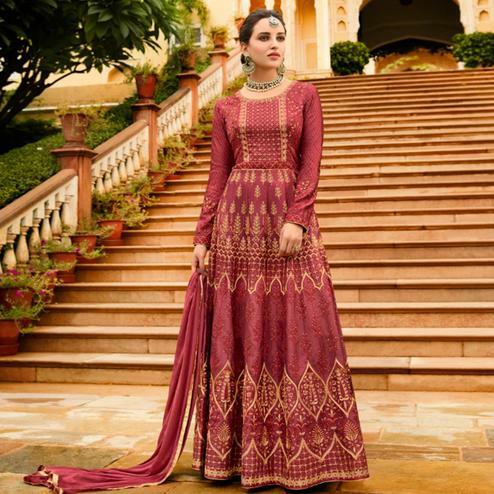 Specially designed to wear for wedding functions, receptions, engagement ceremony and family occasions, where you want to be center of attraction.